Weddings are special ceremonies that most people have been thinking about for years. One way to make your wedding exactly how you've pictured it is with a limousine or limo bus rental. After all, you certainly don't want to drive yourself to your wedding! With a limousine or limo bus rental, you'll have features to enjoy while you're on the way to the altar. Enjoy a toast before the ceremony at the premium bar areas to calm your nerves, and relax into the modern leather seating for the ride there. Your wedding will be a dream come true with transportation from Limo Cincinnati! If you're just getting started with the planning process, we even have some great information on finding the right Event Rentals, Hair Stylists, Invitations, Makeup Artists, and Tanning Salons for your wedding. The time has finally come, and you're surely excited! Hosting your bachelor or bachelorette party on a limousine or limo bus is sure to result in memories to look back on for a lifetime! Round up all of your favorite friends to celebrate your last night of freedom like never before. Our vehicles comes with dancing poles, bar areas, nightclub style lighting, dance floors, tinted windows, and iPod capable stereo systems that bachelors and bachelorettes love. It's sure to be an event to enjoy with a limo bus or limousine rental from Limo Cincinnati! 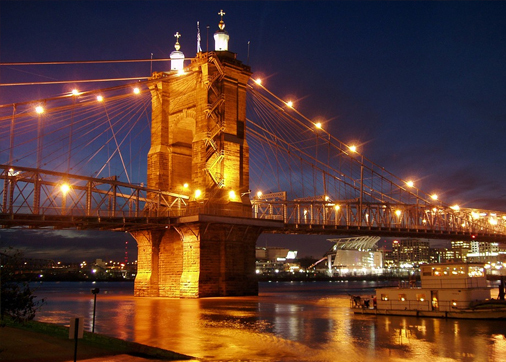 Like many cities across America, Cincinnati is joining the brewery scene, and residents couldn't be more happy! Residents enjoy Fifty West Brewing Company, Moerlein Lager House, Blank Slate Brewing Company, Mt. Carmel Brewing Company, Rhinegeist Brewery, and more! A limousine or limo bus offers a fantastic way to enjoy brews at all of these places without worries of who will be designated drivers or how to get to the different brewing companies. You can enjoy features along the way such as iPod compatibility, subwoofer stereos, granite topped bar areas, dancing floors, wraparound leather seating, and more. If you're heading to the Denver area to check out their brewery scene, be sure to get in touch with Welby CO Party Bus.